Please note: Pre-Registration is required due to limited parking capacity. Start your weekend off by exploring the Agua Chinon wash and the Sinks through this self-guided opportunity. 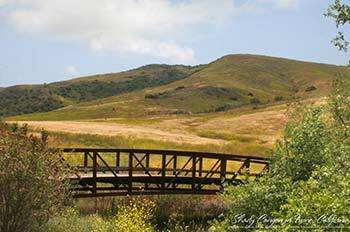 Designated trails will be open for self-guided trail use in OC Parks’ Irvine Ranch Open Space. Trail routes vary in distance and level of difficulty with choices ranging from easy one-hour walks to a strenuous 9.5 mile trek. Whether traveling by feet or on two wheels, this exploration day is a treasure waiting to be discovered by hikers and mountain bikers alike. Visitors to the Open Space during this activity are able to hike or bike to the West and East Sinks Decks. All participants are required to check-in and complete their registration at the Portola Staging Area prior to accessing the trail system. Gates will open no earlier than 8 a.m. The West Sinks route is 6 miles round trip with a challenging hill climb while a visit to the east viewing deck is a strenuous 8 miles round trip and may take the majority of the designated activity time. Please review our Trail Tips page and FAQ page to prepare for this challenging hiking and biking opportunity. Registration for this event is for 70 participants. Be sure to cancel your registration if you cannot attend, so that other participants can register. No walk-up registrations will be allowed. Participants are required to stay on designated trails at all times. In addition to being a rare and sensitive habit, the Irvine Ranch Open Space is under strict protection. There are often unseen dangers just off-trail including, but not limited to: mountain lions, poison oak, ticks, poisonous spiders, and venomous snakes. OC Parks Rangers may issue citations for visitors found off-trail. For your safety, please stay on the designated paths during your visit to Agua Chinon. OC Park Rangers require all trails to be cleared for closure by 1:00pm. Adult mountain bikers are requested to wear helmets. Minors are required to wear helmets per state law. Multi-use trail etiquette: Please remember that bikers yield to hikers when sharing the trails. Click here for more trail tips.